In this video tutorial we will show you how to straighten teeth in Photoshop. Launch the Adobe Photoshop. Go to the “File” menu and press “Open”. In the following dialog box, choose a photo you want to edit. 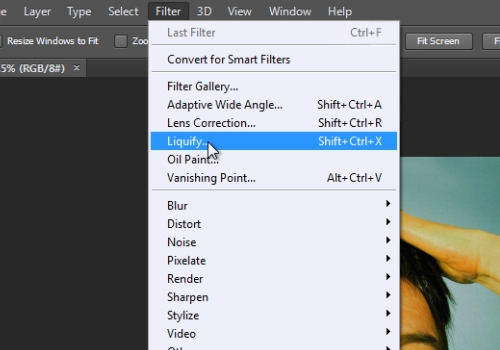 Then click on the “Liquify” option from the “Filter” menu. In the appeared warning message, press “Ok”. In the following “Liquify” window, zoom in on your photo. 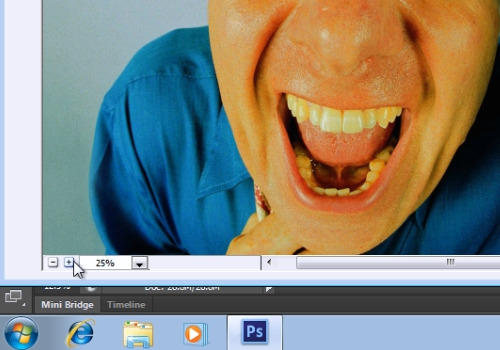 Click on the teeth edges, hold the mouse button and move the cursor slightly to make the teeth look straight. When it’s done, click the “Ok” button. 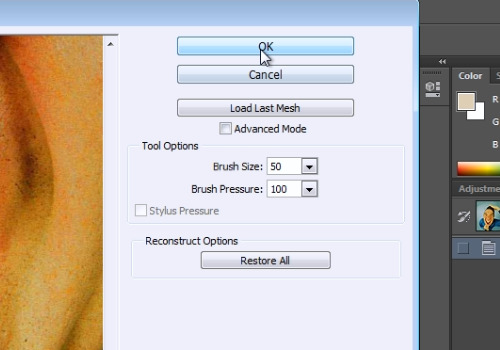 Note that the “Brush size” must be set to about 50 pixels.